If you are searching for a used replacement engine for your vehicle at affordable price, there is no need to waste your time and energy in scouring through break yards. 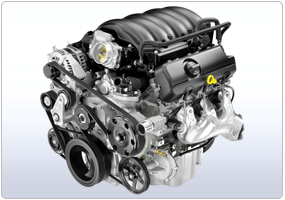 Replacement Engines specialise in second hand engines of all kinds including American, UK, Japanese and German engines. We have a regularly updated inventory of low-mileage and high-quality second hand petrol and engines for all makes and models. Our inventory is updated frequently, choose the make from the list on the left hand side of this page or just fill in the details of your car, van or truck in the form to get a non obligatory quote for the required used unit or you can contact us if you feel any difficulties in the search for your desired engine and we will find one for you right away. Through our network of engine suppliers and resources, car breakers and scrap yards we can source and make available economical second hand engines, all you need to do is press few buttons or make a call. At Replacement Engines UK, our stock of second hand units is updated on almost daily basis. These used engines have been sourced from the vehicles that get early retirement due to any reason like an accident. At Replacement Engines UK, we make sure that each second hand engine picked by our experts comes from a low mileage vehicle. It is then tested thoroughly and any issues, if found, are fixed in our state of the art advanced engine workshops by highly skilled experts. Getting a 2nd hand engine is very cost effective option of replacing the engine. We do not put up anything for sale that we wouldn't buy, still, all the units we sell are covered by our warranty for your mental peace.